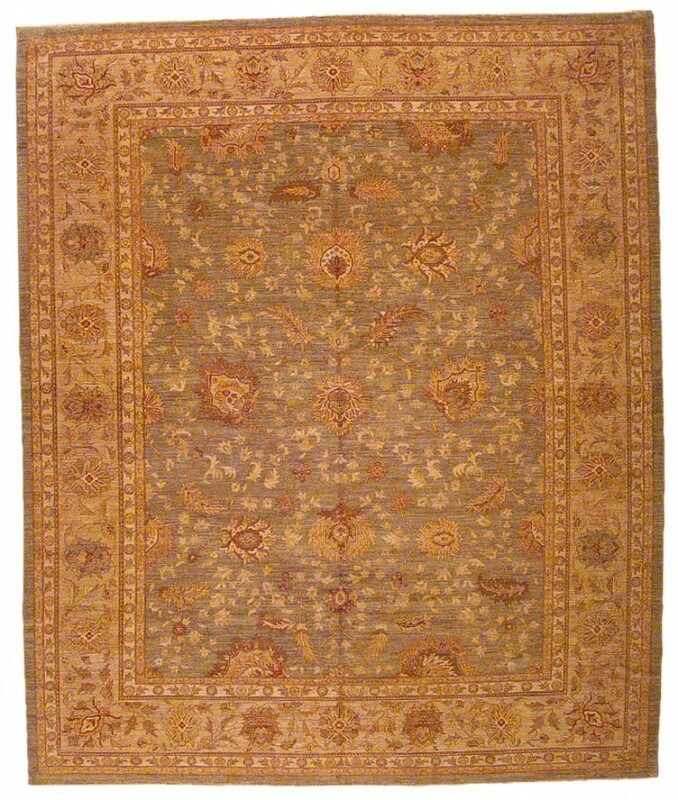 The jewel-like design quality of this Mahal is relaxed yet elegant. 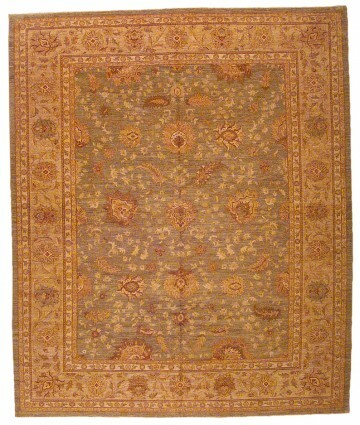 Woven from handspun wool, this rug displays a richness of texture like subtle damask that makes you want to touch it. Grey-blue and periwinkle background with gold accents created with pure vegetable dyes.